The Department of Homeland Security has offered to drop the proceedings that could have led to the deportation of a U.S. Army 7th Special Forces Group veteran’s wife, the family’s attorney announced late Thursday. The case came to light in a Military Times exclusive that reported how retired Sgt. 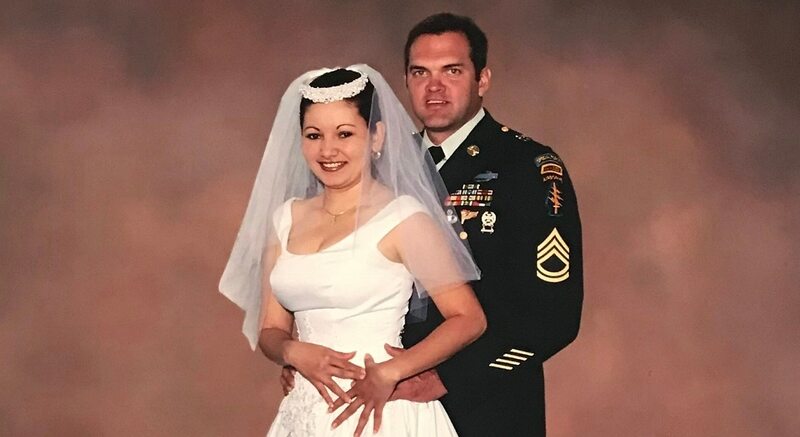 1st Class Bob Crawford, an Army Ranger who spent the latter part of his career with 7th Special Forces Group conducting counter-narcotics missions in Latin America, was fighting to keep his wife Elia from being deported. The family faced an immigration court hearing Monday in Arlington, Virginia, that could have led to Elia’s deportation. Elia Crawford entered the country illegally in 1999. As a military spouse, she is eligible for a provision known as “Parole in Place,” that allows her to seek legal status in the U.S. In the last year however, there has been a chilling effect on receiving those exemptions, said attorneys for the Crawfords and other military families facing the same predicament. After the Crawfords’ story published, Military Times was contacted by several other families also facing the deportation of a spouse. Defense Secretary Jim Mattis has previously said that service members and veterans would be protected from deportation due to an agreement he came to with the DHS, but it is not clear if that new agreement would extend to family members. “This is just one example of what many military families across the country are experiencing as they, too, try and keep their families from being torn apart,” Corona said.